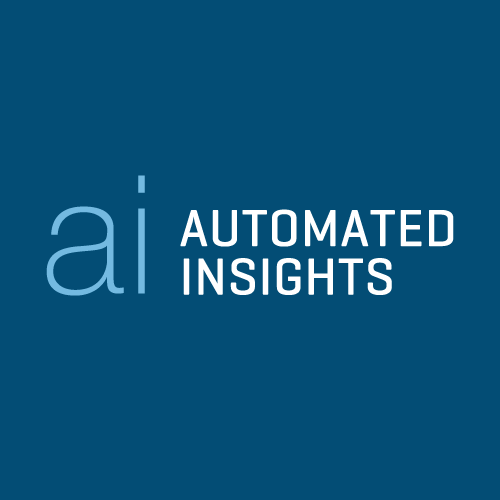 Automated Insights (Ai), an artificial intelligence company based in Durham, North Carolina, has achieved a rare distinction among companies in its region. For the fourth time in a row, Triangle Business Journal has included Ai on its list of “Best Places to Work in the Triangle.” The company is the only Triangle technology startup to achieve the honor consistently since 2012. Ai employees enjoy a diverse and growing list of benefits, including free lunch, flexible work schedules, competitive ping pong matches, and Durham Bulls games from the office balcony. New benefits this year include in-office massages and a vacation bonus after five years of employment. The company is hiring data scientists and software engineers, and pays up to $7,500 for successful referrals. Learn more at http://automatedinsights.com/careers. Using its patented Wordsmith platform, Automated Insights (Ai) automatically transform Big Data into written reports with the depth of analysis, personality and variability of a human writer. The platform generates insightful, customized content on an unprecedented scale for clients like The Associated Press, Allstate, Edmunds.com, Yahoo!, and Comcast. Automated Insights is a subsidiary of STATS LLC, a Vista Equity Partners company. Learn more at http://www.automatedinsights.com.